Villa World in partnership with Greenfields Development Company has announced its unconditional purchase of a 153 hectare site at Greenbank, south of Brisbane. The site is 34kms south of the Brisbane CBD in the Logan growth corridor, and is located in close proximity to employment, commercial and retail precincts. The purchase price is $50 million (exclusive of GST) with settlement anticipated to occur in stages during FY18 and FY19. The joint venture will obtain project specific finance for the development in due course. The site has existing approvals over part of the land for approximately 1,000 lots. The joint venture will seek to amend the approval over the whole of the land to approximately 1500 lots. The joint venture will deliver a high quality master planned community capitalising on the extensive green space surrounding the site. The project will offer a diverse range of home sites with lots ranging from 300 sqm up to 2,000+ sqm. The Company’s CEO & Managing Director, Craig Treasure said Greenbank will bolster Villa World's presence in the growing Logan corridor. 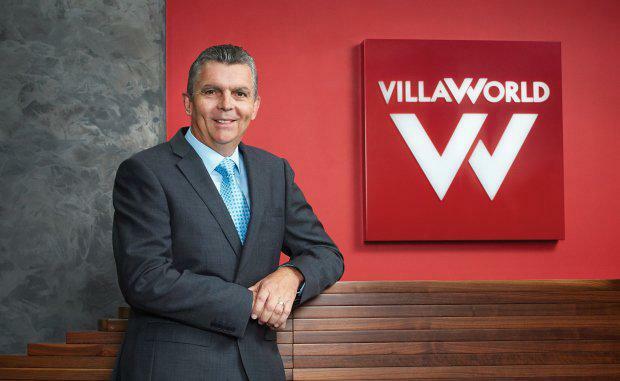 "Villa World's focus is on delivering a high quality yet affordable product for our customers will continue to drive strong sales across our projects in south east Queensland." The Greenbank joint venture is expected to commence contributing to the Company’s profit in FY18.